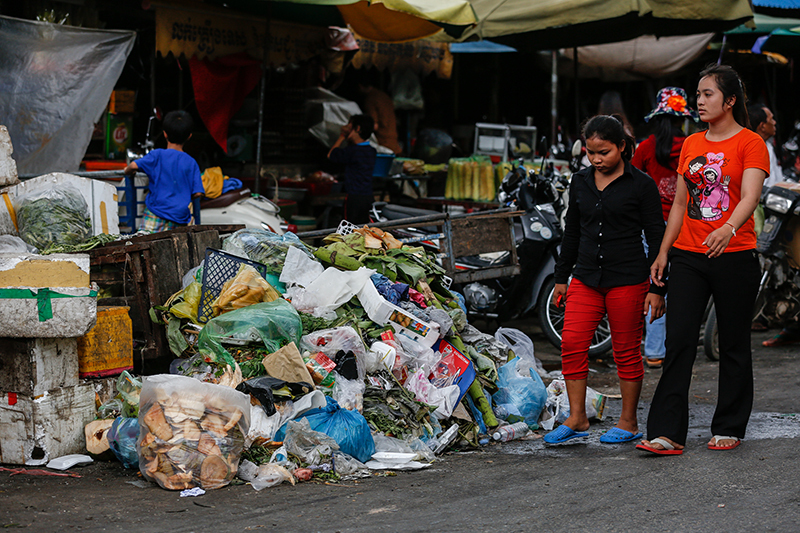 Phnom Penh residents and businesses owe more than $10 million in trash collection fees stretching back to 2003, the city’s sole waste management firm said on Thursday. Many customers only pay the electricity portion of their monthly bills, which contain both power and garbage charges, according to Ith Chanda, customer relations and operations manager for Cintri, a Canadian firm with a monopoly on collection services in the capital. 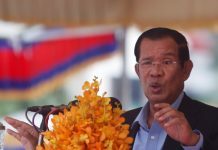 Because Electricite du Cambodge, the state power provider, accepts the electricity payments, some customers haven’t paid their trash bills for 156 consecutive months, or 13 years, Mr. Chanda said after a meeting between Cintri and City Hall on Thursday. Customers behind on their payments are sent letters or visited by staff, Mr. Chanda said, declining to say whether the company would take legal action against those who still refuse to pay. Cintri is the target of frequent complaints about the city’s towering trash heaps, and municipal officials last year criticized the company’s failure to keep the streets clean, even calling for a review of its contract. Mr. Chanda said many customers also complained about how much they were being charged. Residents pay about $1 per month, while businesses pay about $25. “Some businesses think the price is too high and not proportionate to the amount of garbage they put out,” he said. Geoffroy Belourme, owner of the French-inspired Blue Dragon bar that overlooks the Royal Palace, said he paid $30 a month and would not want to pay more because he recycles much of his waste. City Hall spokesman Mean Chanyada said on Thursday’s meeting was part of an ongoing process to renew contracts between Cintri and the city’s 12 districts. Cintri raised the problem of the accounts in arrears, but “there was no serious discussion during the meeting,” he said.